Stockomendation is essential for anyone investing in the UK stock market. 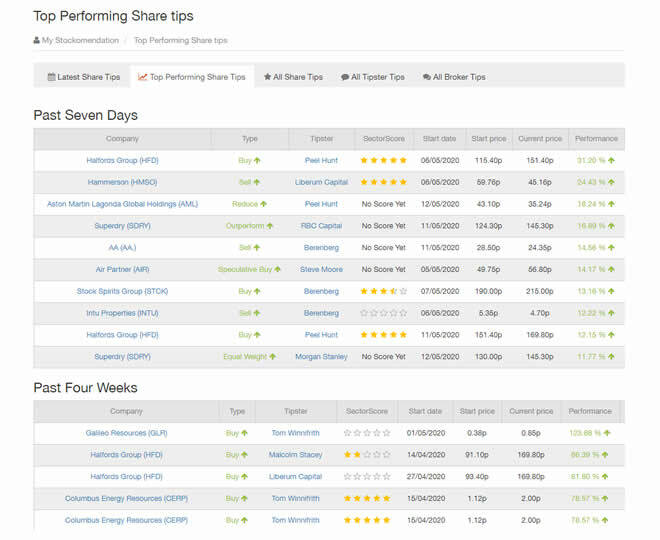 Use the search tool to the right to find share tips, company information or a specific tipster. Give it a try. Simply type the first three letters of your search e.g. for 'Tesco', type 'tes', for 'Share Prophets', type 'sha'. What do I get from Stockomendation? 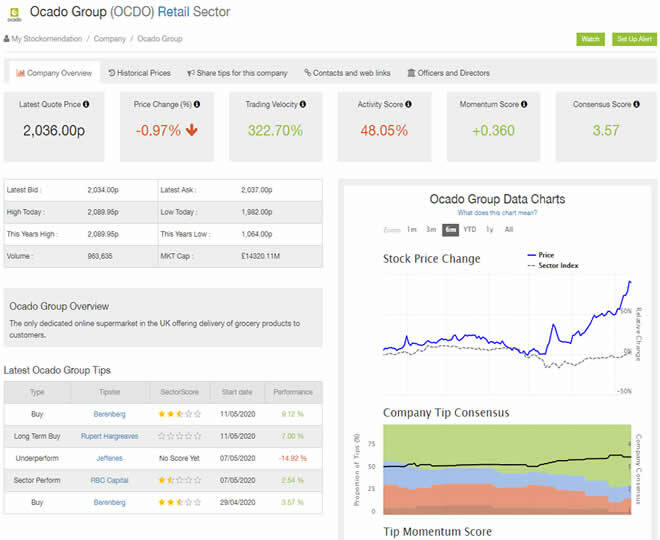 See daily stock market tips, track their performance and access the UK's largest share tip database. 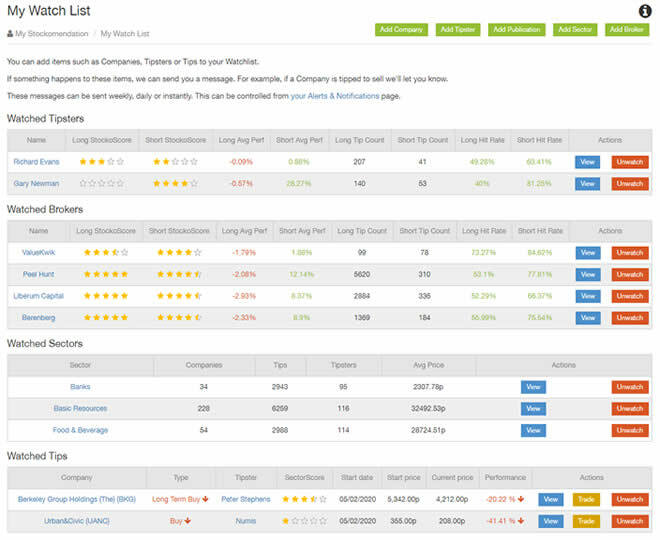 Find share prices, charts, financials and other useful information. View the latest tips from over 160 of the most popular tipsters from the UK's leading newspapers, magazines and websites, all in one place. 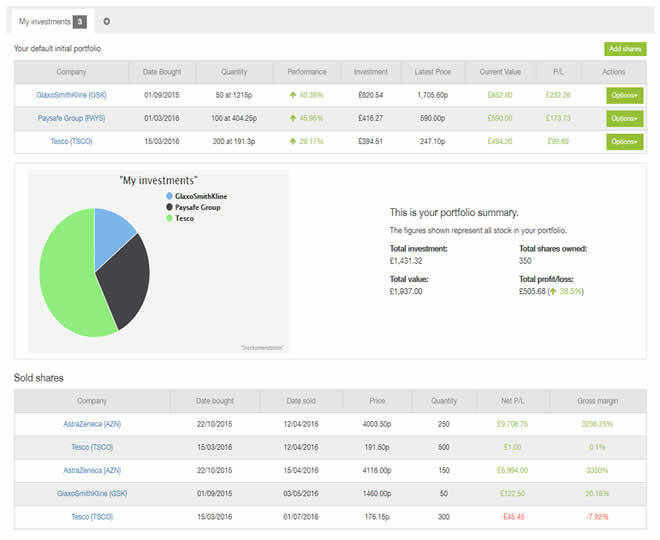 We display the performance data in easy-to-understand tables giving you the ability to make knowledge-based decisions. This gives you a unique insight into which tips to follow. 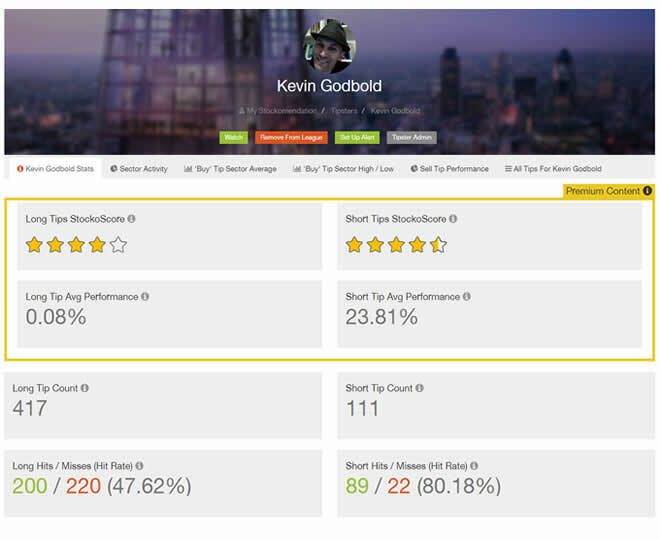 Over 20,000 share tips tracked in real time – more than anywhere else on the web! 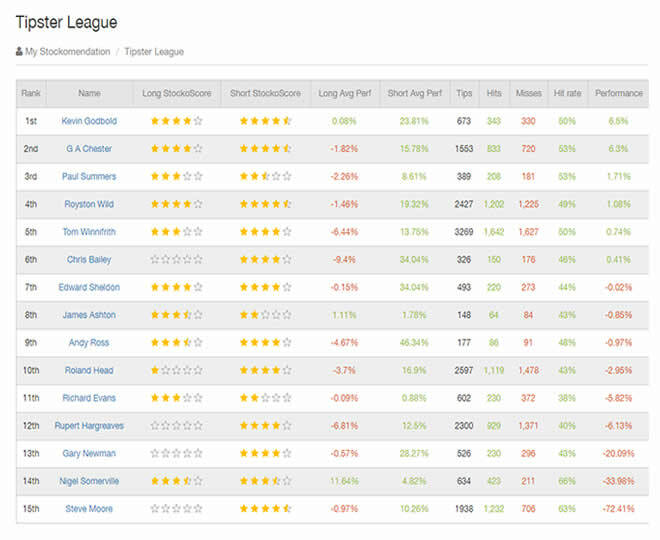 See who is tipping the shares you're invested in – has the advice changed?